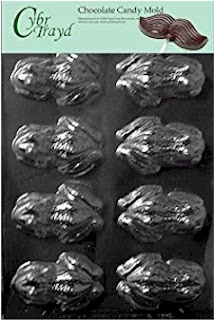 Amazon has got these two CybbrTrayd Frog Molds, great for making chocolate frogs, frog jello or froggie ice cubes, which are a real hit with the kiddies (and most adults) at the Passover Seder. 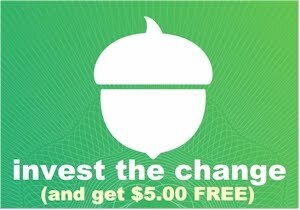 There are two different ones, the larger frog one for $5.18 with free Prime shipping and the smaller frog one for $5.20 with free Prime shipping. 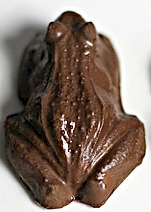 Want to make chocolate froggie lollipops? I checked with the OU and any paper lollipop sticks are fine for Pesach, like this 150-count bag of Wilton 4" lollipop sticks for $6.33 with free Prime shipping. No Seder table is complete without at least 12 dozen plastic frogs jumping around, am I right? 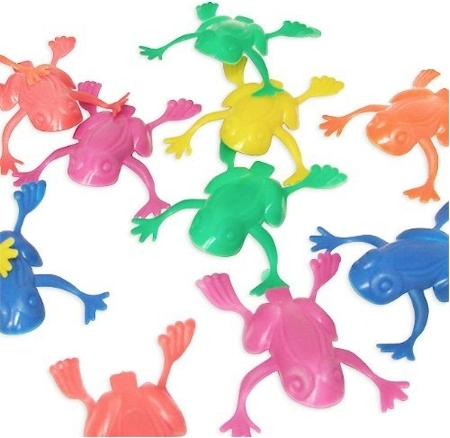 Amazon has this bag of 144 plastic jumping frogs for just $5.79 with free Prime shipping. 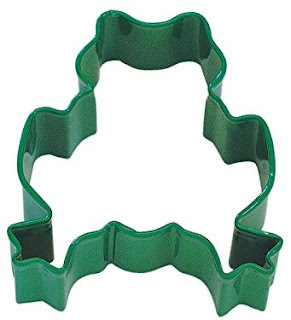 Amazon has got this frog cookie cutter for just $4.25 with free Prime shipping. 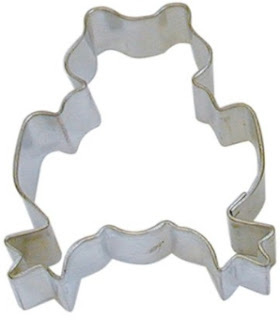 As I'm sure you already know, cookie cutters go well beyond cutting cookie dough, and can be used to cut melon, fruit, vegetables, etc. 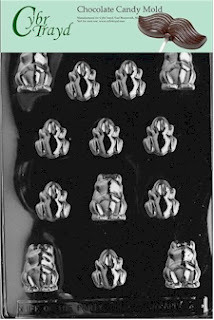 For years, I've been using my Pesach froggie cookie cutter to cut out frog shapes in green peppers, which then go in my Seder-night salad. Cutting frog shapes in healthy foods like veggies or even cold cuts is also a great way to get your kids to eat something good for them and turn it into something fun. When I used to make KFP "noodles" from scratch, I would cut out frog shapes and then float them in my chicken soup and my friends' kids would LOVE it. If you prefer using cookie cutters with a coating, Amazon has also got this metal resin-coated frog-shaped Kitchen Craft cookie cutter for $4.54 with free Prime shipping. 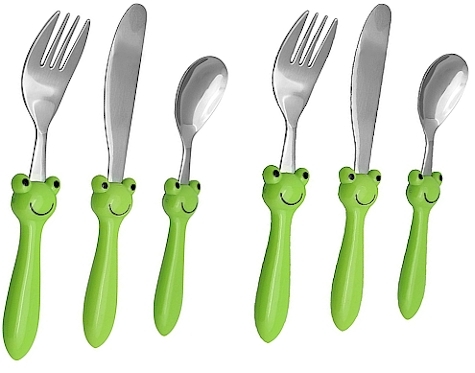 Finally, Amazon has got this Froggie Children's silverware (6 pieces) for only $9.99 with free Prime shipping. 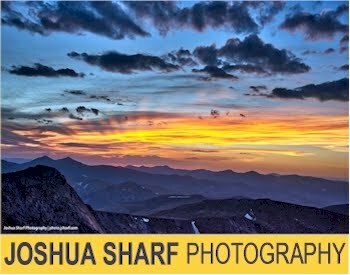 Great for kids to use during the Seders! You can never have too much frogpresence at the Seder.